← Web Store Open Again and Last day to order Helmets is this Thursday. If you want to be ready for tryouts, then this is a prefect camp to shake off the rust and get you thinking and breathing lacrosse! 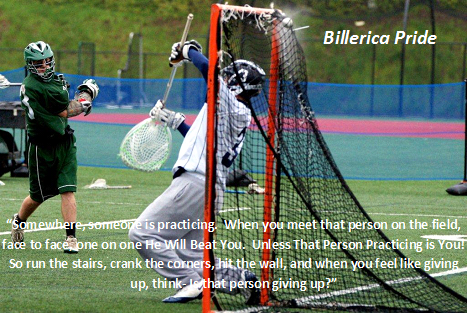 All Billerica Lacrosse Players are encouraged to attend. The Spring Melt Down conditioning camp is designed to prepare you (athletically) for the upcoming lax season. It is designed to build up your stamina and help with your quickness. In no way or form will there be any physical contact between other players.